In case you haven't heard, Ultra HD Blu-ray has arrived. This new disc format doesn't merely deliver a higher 3,840 by 2,160 resolution to suit new 4K Ultra HD TVs and projectors; it also allows you to enjoy content with High Dynamic Range and a wider color gamut (for those UHD displays that can support those technologies), as well as 3D object-based audio soundtracks like Dolby Atmos and DTS:X. We recently reviewed the first (and, as of this writing, still the only) Ultra HD Blu-ray player on the market: the Samsung UBD-K8500. The logical follow-up is to recommend some good Ultra HD discs to buy along with it. Admittedly the current list of available titles isn't all that long (about 45 as of late June), but we've narrowed it down to 10 discs that will make a strong foundation for your new Ultra HD collection. We tried to focus on discs that are of high technical quality, offering compelling demo material, but are also high-quality movies that you actually want to watch again and again. As I pondered what the mandatory criteria should for a particular title to make the list, two technical specs immediately came to mind: HDR video and 3D audio. The majority of new titles feature HDR video (in the HDR10 format, check out this story for more information on that topic), so that one wasn't a concern. Unfortunately, while a good portion of the current Ultra HD releases come with a Dolby Atmos soundtrack, some of the biggest blockbuster releases max out at DTS-HD Master Audio. This presented an interesting philosophical question. How important is 3D audio at this stage in the game, and can a title qualify as a must-own disc without it? The answer is subjective, naturally. I took a poll of fellow HT writers and disc reviewers, and the responses ran the gamut. One said that 3D audio is crucial, and its absence would be a deal breaker for him, since he knows they'll end up adding it later in another re-release and doesn't want to have to buy the disc again. Another said he couldn't care less about 3D audio, and no one he knows has the desire to actually run the extra speakers to configure an Atmos or DTS:X system. Most other responses fell in the middle, saying that a 3D audio soundtrack is a nice perk but not a necessity. Fellow HTR reviewer Dennis Burger best summed up: "For me, Atmos/DTS:X is kinda like having a mint left on your pillow in a hotel room. When it's there, I'm like, 'Oh, I like this. This is nice!' And when it's not there, I don't even think about it." Ultimately, I decided to include a few discs that do not have object-based 3D soundtracks, but let me stress that you're still getting uncompressed 7.1-channel DTS-HD Master Audio sound--which is better than the compressed choices you see with most UHD streaming services. Nevertheless, if you consider the lack of 3D audio to be a deal breaker, then pay attention to the audio format that accompanies each selection below. One other point worth noting is that, in terms of bonus content like audio commentaries and making-of featurettes, most of these Ultra HD Blu-ray discs feature the same supplemental material found on previous 1080p releases (if there was one). So, if you own a previous version of the film, you'll have to decide if the video (and maybe audio) upgrade alone is enough to justify another purchase. 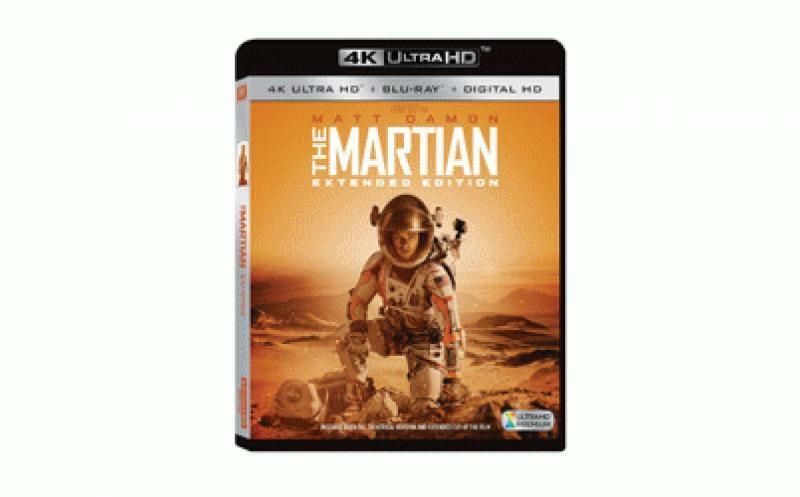 The entertaining, Academy Award-nominated film The Martian was one of the first Ultra HD Blu-ray discs to hit the market back in February, yet it has already been re-released with an extended cut of the film (10 extra minutes), a new Dolby Atmos soundtrack, and more than two hours of bonus content. 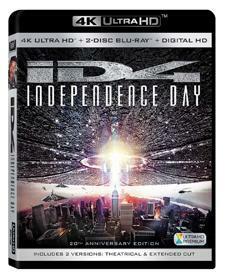 Packaging: The two-disc set includes a 4K Ultra HD disc, a Blu-ray disc, and a digital HD copy of the film. 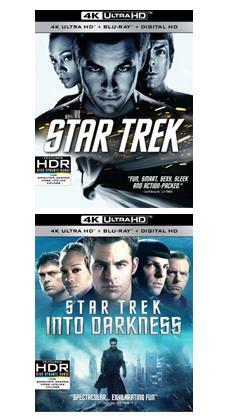 Take your pick between the first two films in the popular Star Trek reboot, or buy them both. If I had to choose, I'd say the first is a better overall film, but both are good fun. Extras include audio commentary, deleted scenes, and a variety of making-of featurettes. Packaging: These are three-disc sets that include a 4K Ultra HD disc, a Blu-ray disc, and a digital HD copy of the film, along with a Blu-ray disc full of bonus content. 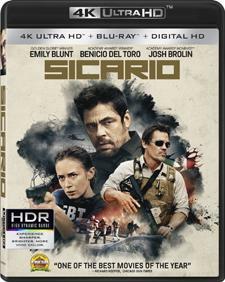 This slow-burning film about a by-the-book FBI agent trying to help a government task force take down a Mexican cartel boss will quietly draw you in, and the HDR video looks wonderfully detailed and natural. It ain't your son or daughter's comic book movie (as some parents learned the hard way in theaters), but this R-rated action/comedy received high marks from audiences and critics alike. The UHD video looks great, and the soundtrack makes great use of Atmos. 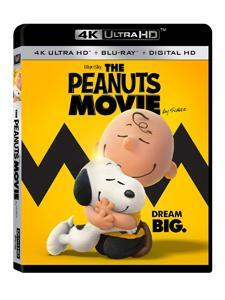 If you do want one for the kiddos, check out The Peanuts Movie. It's a sweet, fun, heartfelt film that will win over children and adults alike. The UHD video for this animated tale pops with detail and color. Another popular and critically acclaimed 2015 Academy Award nominee, this post-apocalyptic action movie features a robust Atmos soundtrack that has already become a staple demo at home theater trade shows. Yes, you lose the well-executed 3D presentation in the move up to Ultra HD Blu-ray, but the format's HDR and wider color gamut give the film depth in a completely different, no-glasses-required kind of way. And it's still beautiful to behold. Come on, we had to include it. The sequel has finally arrived, the original is cheesy fun, and we wanted to include at least one disc with a DTS:X soundtrack. Independence Day has long been an HT demo staple, and this is the best-looking, best-sounding version yet. Packing: The three-disc set includes a 4K Ultra HD disc, a Blu-ray disc, and a digital HD copy of the film, as well as a full Blu-ray disc of bonus content. 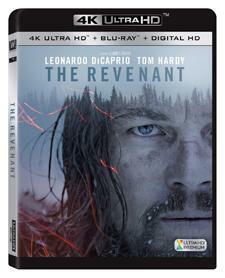 The Revenant isn't always easy to watch, but the stunning Ultra HD video presentation makes it hard to look away. If not for all the killing, this 2015 Academy Award nominated film cold be considered a nature documentary, with all those slow, scenic, beautiful pans of pristine wilderness. • Visit Blu-ray.com for the latest Ultra HD Blu-ray news and reviews. • What Is "Ultra HD Premium?" at HomeTheaterReview.com. • Check out Reference Home Theater's Ultra HD Blu-ray Guide to get info on how each UHD disc was shot and mastered.